Happy Friday everyone! February 2019 started today! Isn’t it strange how quickly time flies? It feels like the other day we were celebrating start of the year 2019. 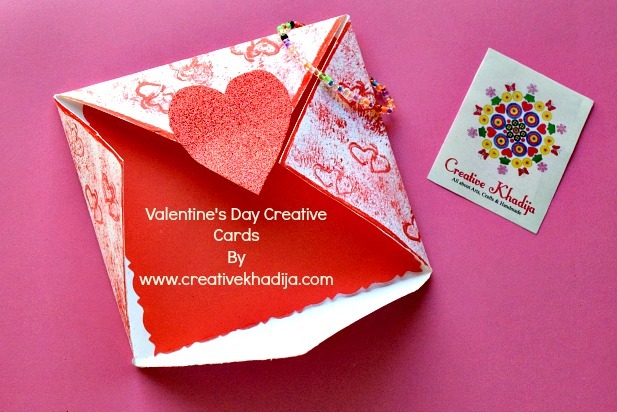 In the previous years of blogging, I have shared few valentines day art & crafts ideas in the month of February. 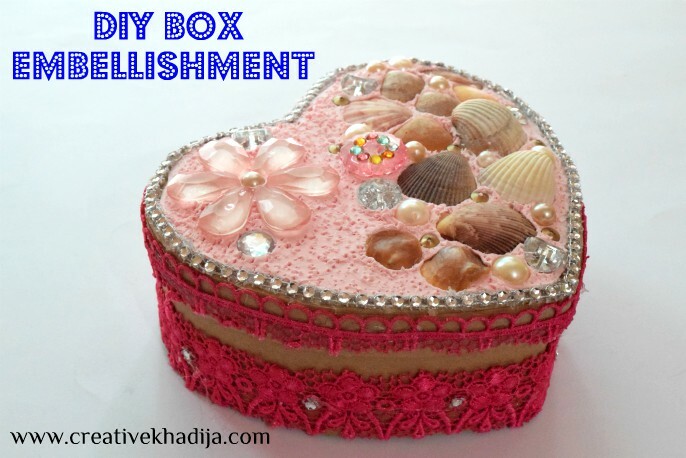 These days I am seeing a spike in my blog traffic coming from those creative valentines day ideas & crafts. 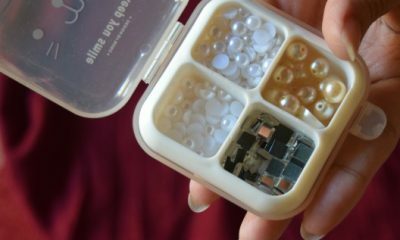 So I thought to share a brand new easy DIY which my readers might find interesting to try. 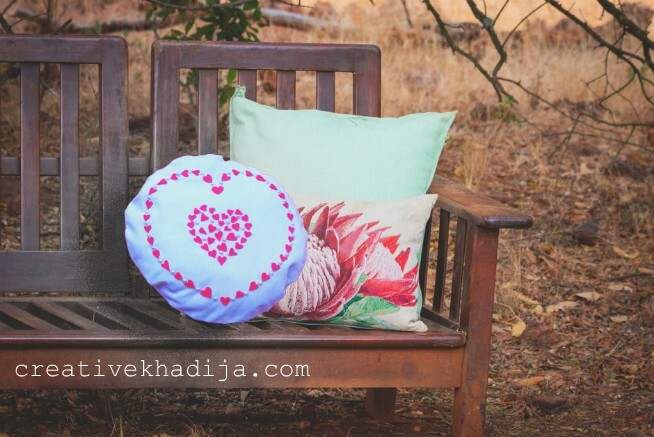 A few months back, I’ve shared few DIY pillowcase design ideas with you. 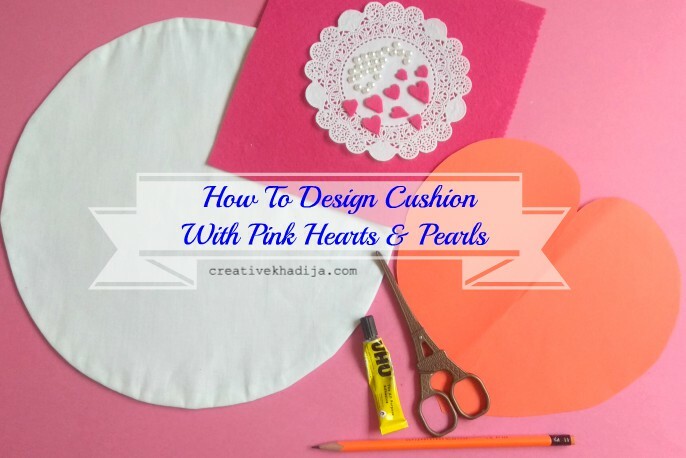 Today, again I am going to share a super easy cushion cover design idea. 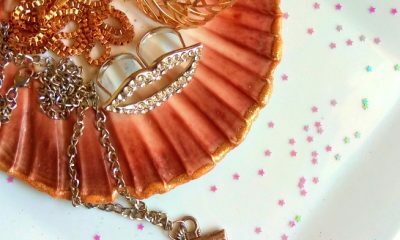 I hope you will find these Easy valentine crafts ideas for Girls to Try this year really interesting. I’ve shared about some blank pillowcases which I got stitched for designing once. 3 of them are designed while two are still blank. This round pillow is one of them. First one I painted with fabric paints & wrote CREATE on it. 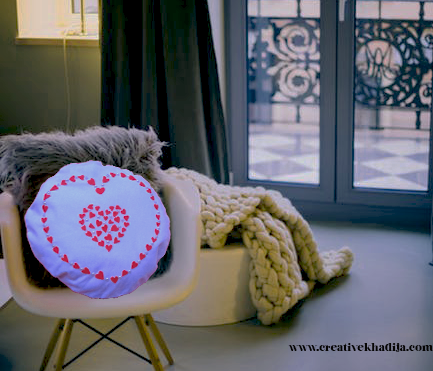 ( check the video tutorial here) The other one I design on Independence day of Pakistan by drawing Minaar-e-Pakistan on the cushion cover (Video Tutorial HERE) Now today I am going to design the 3rd pillowcase which is round in shape & theme is valentines day. You will need a fabric pillow cover in any color but blank. 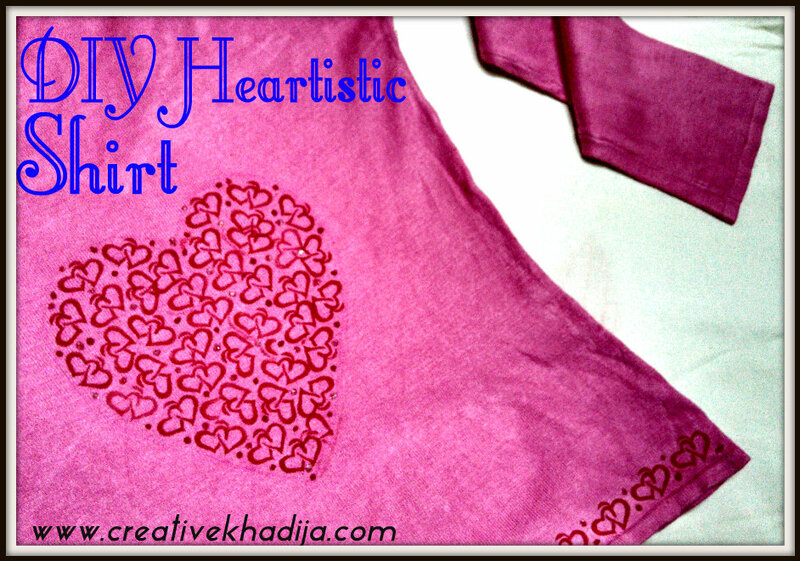 Heart shape cut outs of felt fabric. Pattern of heart shape in any size you like. Scissors, half pearl beads, fabric glue & pencil for tracing. 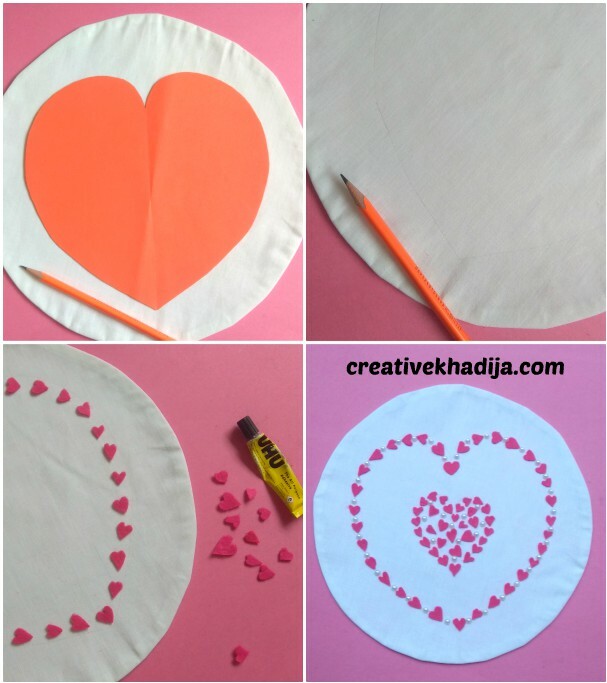 First, Draw heart shape on the pillow with pencil. 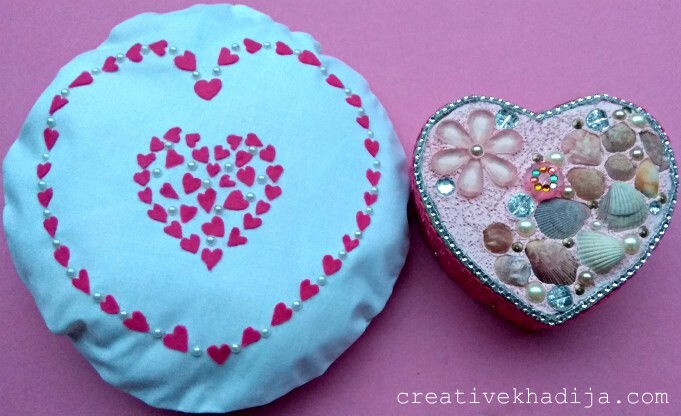 Then start pasting felt fabric mini hearts cut outs with the help of any fabric glue. Keep the margin for pasting pearls in between them. I repeated the process in the middle of cushion design but without keeping a proper manner as in freehand pasting. Fill the pillowcase with polyester filling & it’s ready to place with other cushions on the sofa, chair or bed. Looks good? Isn’t it look a bit bigger on the chair? But better fit on sofa I guess. 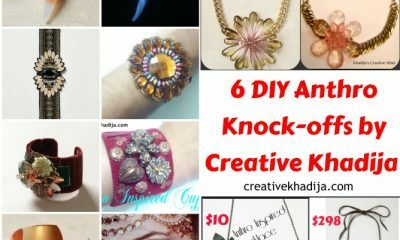 If you are looking for any DIY valentines day gift ideas, you can consider this in easy craft ideas for your home decoration. Do you like it? 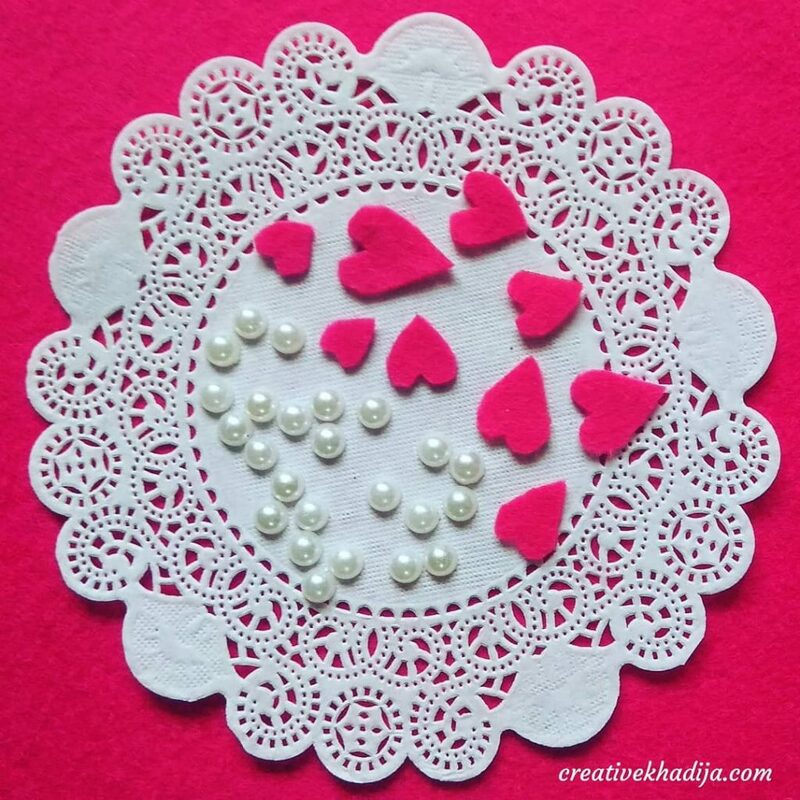 I hope you enjoyed my easy valentine crafs ideas from archives & also my today’s easy valentine crafts idea. 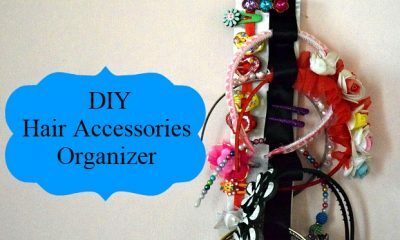 Stay tuned to see more :) There are many more easy home craft ideas & decoration DIYs on my blog which you can enjoy from archives. 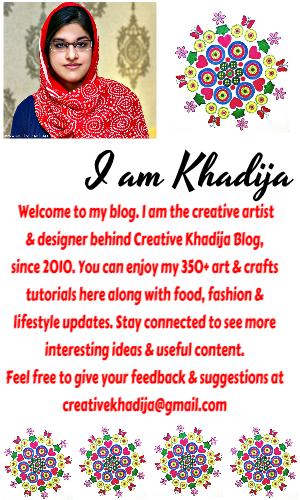 Keep checking this space for more creativity! Thank you. 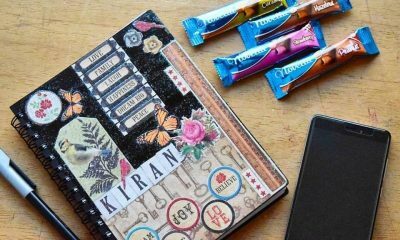 Thanks Alveena :) Have a great day!